Here’s what I have every morning. It only takes a minute to prepare, and it is tasty and healthy. It gives me energy and keeps me full for most of my work day. *yogurt – any flavor will do. I have yet to find one that is not complimentary. *coconut milk – I used to use this, but my supermarket stopped carrying it and I’m too lazy to make a special trip. Sometimes I add a spoonful of honey, just because. 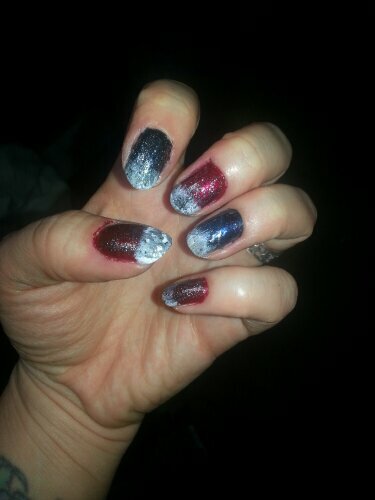 These aren’t my favorite nails that I’ve ever done, but AMERICA.